I haven’t posted on this blog all summer. It’s been a busy one. Minime #2 will be here in less than three weeks. Yikes again! Minime #1 got her big girl bed. Yikes! Minime #1 started a new daycare. Minime #1 still refuses to use the potty. Oh well. I’ve been busily crossing the T’s and dotting the i’s on the page proofs for my new book. Yay! And yet so many things stay the same. The hum of the quiet morning as I sip my cup of coffee. The click of computer keys. The whir of my mind. And even without my own classroom I’m still comforted by the buzz of childrens’ voices on those first days of school, the early morning runs to Starbucks for my vanilla latte (half-caf these days), and the promise of a new school year. This year is fill with new faces, new places, and lots of new learning experiences. I am reborn. Here’s to another great year and more exciting things to come! Nine years. I dig slowly through the book bins, checking for beloved texts. Sometimes flipping through, sometimes putting them in my box, most times returning them to the bin. As the books tilt forward I see a sea of my name scrawled on the top of so many of them. Nine years left behind. The boxes I pack are few. What good will these items be in a basement? I leave them behind as a mark, as something to say “I was here.” I taught in this room. I learned in this room. I laughed, and cried, and grew up in this room. I’m left in the wood floor, the scratch behind the door. I’m still here in the book shelves, the left over chart paper, the closet of neatly organized book club books. Like a siren fading away, loud at first, then slowly disappearing with echoes off the buildings. Silence. Moving forward into the unknown. Hope for new learning, new energy, new connections, new inspirations, new idea, and new memories. Like a Phoenix I’ve come to the end, burst into flames, now I sweep up the ashes of my own cycle, to be reborn again. Things have been a bit crazy here lately. But I won’t give up on the challenge. So back to slicing it is. Here’s one reason why life has been getting a little nuts. Gigi was playing with her baby doll, rocking it in the crib and feeding it a bottle. ”You’re so good at that!” I said. ”You know, you’re going to be a big sister soon.” She looked at me for a moment and then went back to playing. ”Gigi a baby is coming. We’re going to have a baby come live with us. Do you want to be a big sister?” She looked at me quizzically and said “baby?” then she looked around. In theory, Gigi really likes babies. She helps with all of the babies at daycare, feeding and rocking them just like she does with her dolls. But I’m not too sure how she will react to having to share her mommy. I guess only time will tell. push, swing, push, swing, push, swing. Over and over and over again. She never wants to stop. 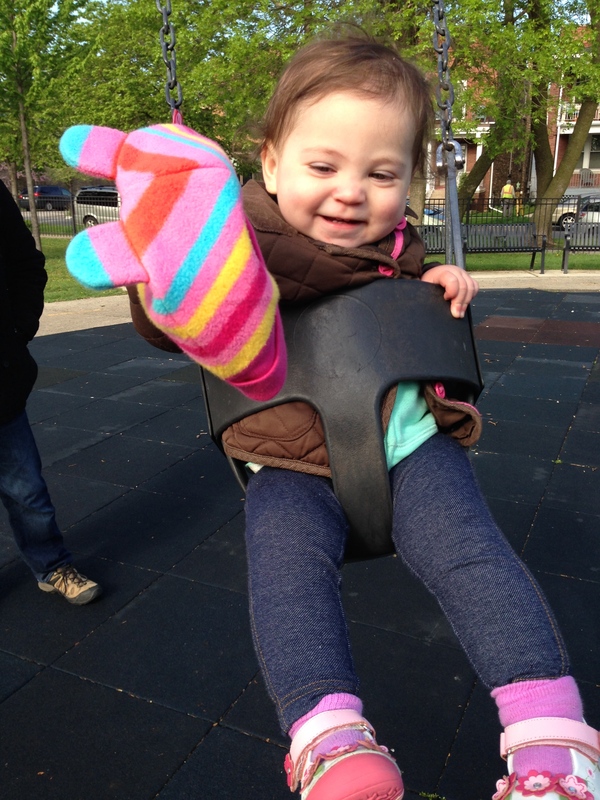 Once she finishes with the baby swing she wants the big girl swing. I carefully wrap my hands around hers on the chains and tell her “hold on, hold tight.” Hoping she understands. She yearns to swing, yearns to fly. You sit stacked on my nightstand. Your pile somewhat disheveled, a never-ending revolving door of friends. Each one of you holds a story; waits patiently, hoping for your turn to be unfurled. Some of you are lucky. You barely sit at the top of the pile before I’ve snatched you up and devoured you, before passing you on. Others of you continually pushed to the bottom of the pile, gathering dust. You are good, I’m sure you are, it’s just that there others who stand out from the crowd begging. You sit stacked on my nightstand. Waiting for your day to shine. Routines, routines. They guide our life. Sometimes I don’t even notice the routines in my day. Today I wrote a list about my morning routine. Argue with toddler about getting dressed. Attempt to get toddler dressed. Fight toddler in epic battle. Order largest coffee they make. Realize I forgot my key. Trudge downstairs saying bad words. Trudge back upstairs more slowly. Gaze at giant pile of papers to grade. Get distracted by interesting article I want to share with class. Coats unzipped, hat tossed aside. Ahhhh the scent of Murphy’s wood soap. Pans scrubbed with elbow grease and love. Toys put away, book on display. I’m starting to feel right again. Laundry done, folded and neat. The stenches of yesterday long gone. What is the old chicken? The sick kid? Windows cracked, crisp fresh air in. I think I can think again. Do you know what you don’t want to hear? A sound that can really ruin your drive home on a Friday evening. You know what would just make your long tired day from dreams of flopping on the couch and catching up on DVR to minor emergency status? The sounds of your toddler barfing not once, not twice, but three times all over herself, her carseat, and your car. I’ve been seeing a lot of former students lately. Occasionally where there’s something going on at the high school level groups of kids will return to school to come visit. They don’t know this, but I relish those moments. Seeing their teenage faces, hearing about their successes in high school, these things make me happy. It’s always so funny to watch my current class gasp in wonder when a group of teenagers walks in the door. Of course, they are overjoyed at the interruption in the middle of math class. But I wonder if they see themselves in those teenagers, it won’t be so many years before they grow up too. Their changes will by physical (getting taller, deeper voices, teenage acne) and emotional (first loves, the uncertainty of choosing a college, emerging into the job world). Of course when I hear of students from my first class heading off to college I start to feel old. Which is no comparison to teachers I’ve worked with who have taught a student and then that student’s child! But still. However, even though I continue to age, I’m not growing up. You see I’m growing down. Working in the education field gives you the distinct pleasure of getting to stay connected to your inner child. For example, the other day I was testing out a robot and rolled it into a fellow teachers classroom in the middle of a lesson. It was childish. We all had a good laugh. Seeing life through each new generation’s eyes keeps us connected to some fundamental truths about life. Good instruction is important, but so is having fun and taking time to play. My former students will have to grow up, face the harsh realities of adulthood some day. I’ve been there and done that. I may be getting older, but you can’t make me grow up. 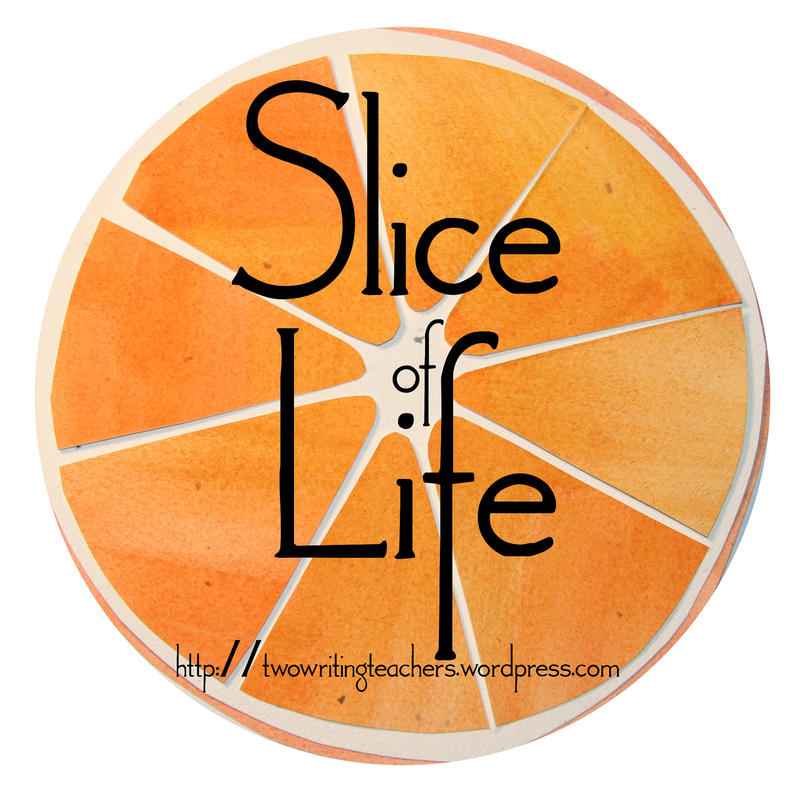 For more information or more slices please visit Stacey and Ruth at Two Writing Teachers.